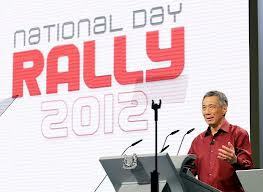 PM delivered a good NDR speech on 26 Aug 2012. The section that bothered me the most is the topic around TFR. (Total Fertility Rates). There’s an obvious long term down trend, however not much was shared on what’s the root cause for it. There are 2 distinct groups of that contribute to a declining TFR. Let’s discuss about the first group. i.e. Singaporeans who decide to remain single or get married at a later date. I did an informal survey with my peers who are not married and here’s the feedback. Cost of living is too high, can’t even fend for themselves. What other concerns do you face? Raise it here and let’s speak up for each other.